I know it’s “cool” and “rad” to complain about modern cars and their computers and safety systems and fake engine noises, but the fact is that the performance-minded buyer has more and better options than ever before. But who leads the pack these days? 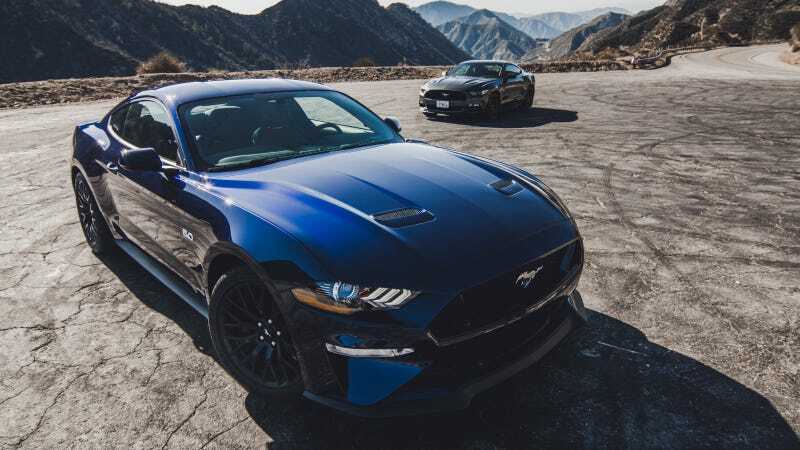 If you’re talking about sales—which may be the only metric that really matters—it’s the Ford Mustang, for the third year in a row. Some good news for enthusiasts: the most popular configuration worldwide is the GT with a 5.0-liter V8, though no word on which gearbox buyers opted for. Also, there’s a 10 percent gain in Mustang sales over the past five years by women buyers when that market has been relatively flat. That’s good. Speed is for everyone, and the only way enthusiast cars will survive the possible electric-autonopocalypse is if they appeal to a wider base of people than we’ve seen traditionally. Why is the current Mustang selling so well? Well, it’s an icon, it’s more widely available and globally sold than ever, the V8's performance is excellent (and that 310 horsepower turbo four is no slouch these days either), and the current one looks pretty sharp as well.